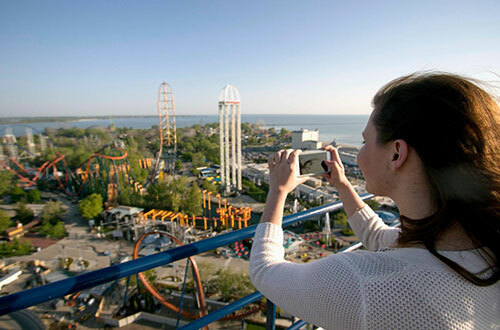 There's so much to see and do during your visit to Cedar Point in addition to our world-class rides and attractions. 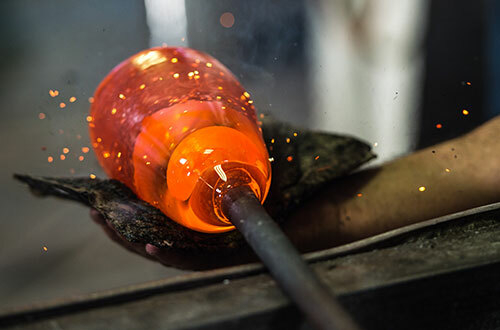 Enjoy unique experiences located throughout the park like glassblowing, VIP tours, candle making and many more. 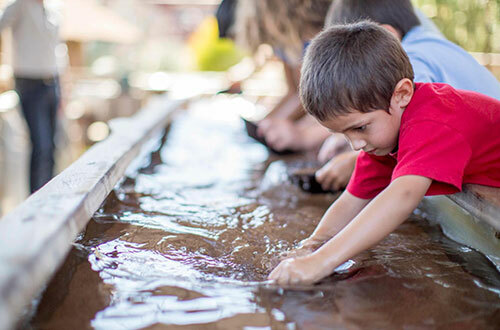 Come test your prospecting skills by panning for real gemstones. A great activity for kids of all ages! Adjacent shop features unique gifts and beautiful gemstone jewelry. Located on the Frontier Trail. A nominal fee is required to pan for gemstones. Think you have what it takes to blow glass? 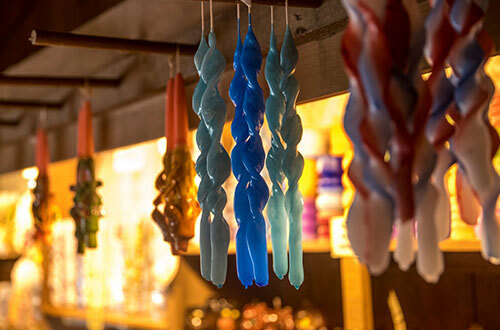 Show your mastery over molten glass with The Glass Academy Glass Blowing Experience on the Frontier Trail. Demonstrations are free. A nominal fee is required for hands-on activities. Say hello to Rose and take home a one-of-a-kind souvenir when you dip your own candles! Or, select one of the Candle Shop’s lovely carved candles. Located on the Frontier Trail. A nominal fee is required for candle dipping. 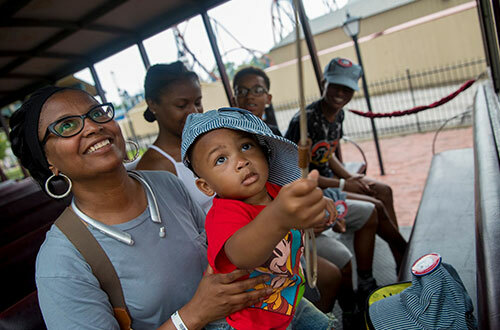 Ride the scream machines of Cedar Point with little to no waiting and receive personal attention you just can't get anywhere else with your own VIP Tour Guide! Choose a Gold or Silver VIP Tour OR check out Sunrise Thrills to get a behind-the-scenes look at our coasters and even take a ride up Valravn's lift elevator to watch the sunrise! Have a little one who loves trains? Our railroad crew needs a few hands to help keep this train a-chuggin’. Guest Conductors will sit in the lead passenger car and ring the conductor’s bell along the way. They’ll also receive a special hat and pin. On this special ride, all drivers can receive a license! 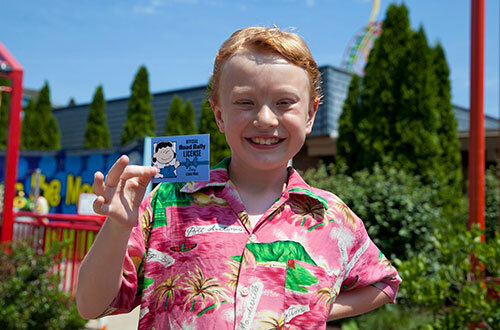 Kids who ride Peanuts Road Rally can pick up a special Road Rally Driver’s License, showing everyone they’ve conquered some serious off-roading in Planet Snoopy. Curtis the miniature cow and his farmland buddies are waiting to meet you. It’s a great experience for the whole family. 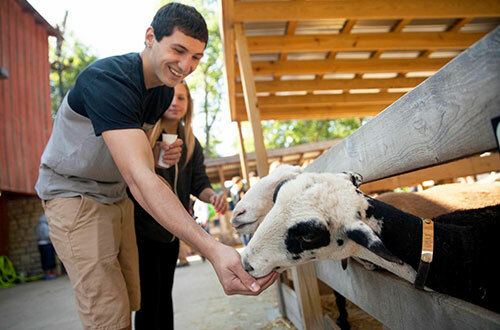 Interact with Curtis, along with camels, sheep, goats, donkeys and more! Open 12-6 daily on the Frontier Trail. 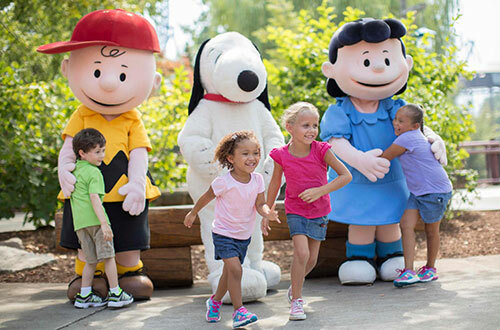 Meet Snoopy and his Peanuts pals and capture that perfect photo. The Peanuts friends are ready to say hello at various times in the Camp Snoopy Theatre and after the “Peanuts Perfect Day” show in Celebration Plaza. See show guide for specific times.